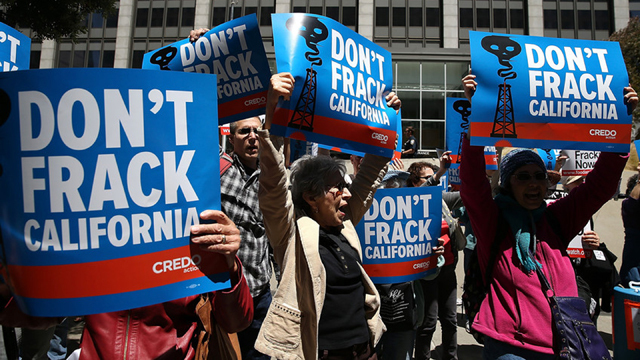 Santa Cruz County has become the first county in California to impose a “permanent” ban on fracking, as well as all other on-shore oil and gas development. Tuesday morning the Board of Supervisors unanimously approved the pre-emptive move against hydraulic fracturing, a technology that uses water and chemicals to unlock oil and gas underground. Butte and Mendocino counties are considering similar moves. 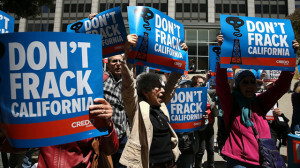 And Butte, San Benito and Santa Barbara counties may all have fracking restrictions on the November ballot. A state bill that would ban fracking until there is more scientific study is in limbo, having been relegated to the Appropriations Committee suspense file on Monday. The oil industry insists that fracking is safe and has made the United States less dependent on foreign energy.